On the occasion of the 50th Astus 20.2 and the Paris Boat Show 2011, Jean-Hubert Pommois is pleased to present the new Astus 20.2 Sport +. The ideal day boat for the regatta. It differs from the Sport version with : - a hull made of infusion. - a carbon rig (Mast, boom and sprit). - a red gelcoat hull and deck gray. 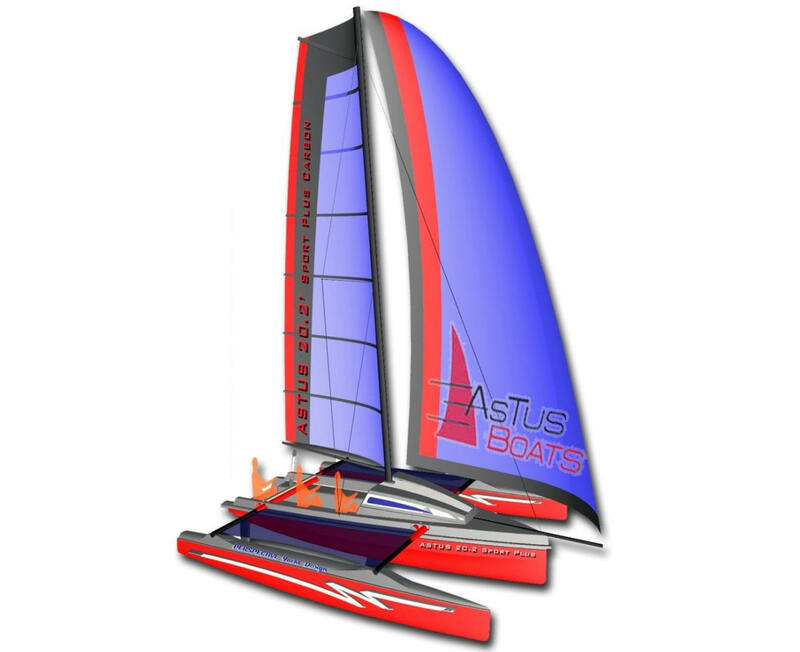 - two-color Mylar sails PX Black.